The round smart watch design seems to have become the preferred form factor among wearable enthusiasts. They don’t necessarily improve the Android Wear experience, but they definitely look cooler. That’s a big deal for a lot of people, which is why the Moto 360 is so popular. Samsung has allegedly noticed that trend, and wants to build a round smartwatch of its own. The difference is is that it’ll run Tizen, not Google’s wearable OS. According to SamMobile, the Korean company is already developing a rounded smartwatch, codenamed Orbis, that will be a big departure from the typical Gear design language. The company has a handful of smartwatches on the market already, and while the designs aren’t awful, they’re not quite as elegant as the Moto 360 or G Watch R. Unfortunately, SamMobile doesn’t provide too much detail other than to say it’ll sport a rounded look. 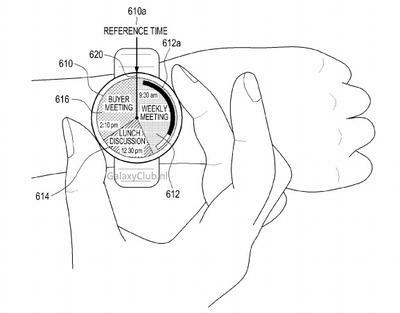 A few months back, a Samsung patent suggested the company was definitely working on a round smartwatch, and a recent patent filed by the company detailed a neat ring-operated smartwatch design. Imagine the same experience of using a focus ring on a camera, but to navigate the UI of Samsung’s Orbis. That actually sounds pretty darn useful—a nice alternative to Apple’s digital crown. Orbis will reportedly show up at Mobile World Congress in early March, so we’re not that far away from seeing what Samsung has planned. March, as an aside, is also the same month Apple will allegedly release the Apple Watch.